Roundhouse is widely recognised for their innovative use of materials, and has developed a series of unique metallic finishes to add to their growing roster of unique metal finishes including their latest metal wraps. Developed in-house by their R & D team based at the company’s factory in Malvern Worcestershire. Reflective and rich, with the depth and texture of real Silver, Bronze, and Copper, many of the exclusive metallic finishes are created from real metal in powder form. 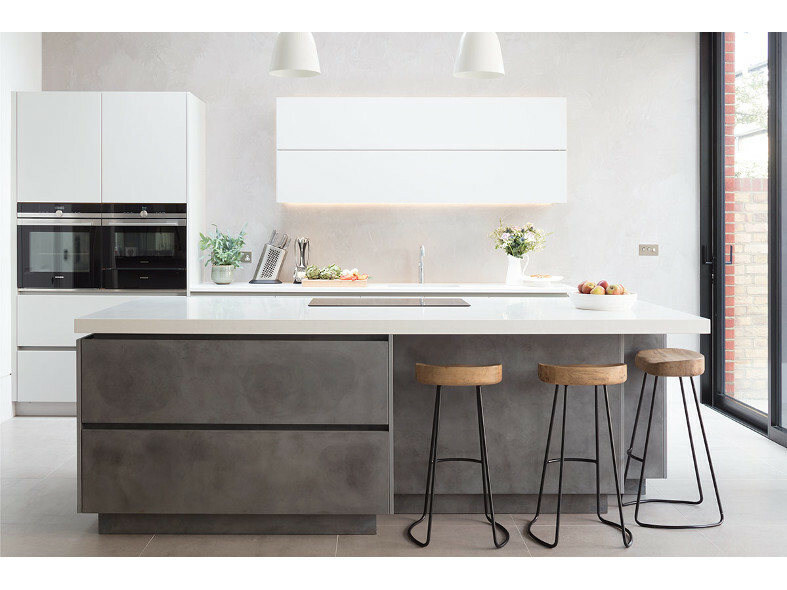 At the leading edge of developing new finishes for over 20 years, the latest clever combinations of materials from Roundhouse create texture in kitchens with contemporary surfaces, resulting in a look that is sleek but isn't too uniform. 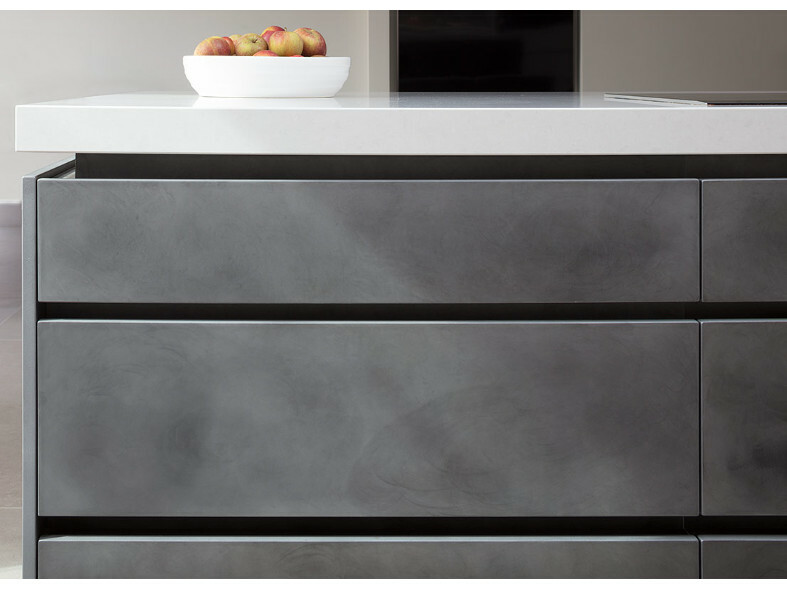 The metallic finishes are one-offs, hand polished and burnished in a process which results in this distinctive and inimitable surface. The matt Metallic Copper, Burnished Bronze, Burnished Copper & Patinated Silver and Patinated Bronze can be viewed in Roundhouse showrooms across the capital. 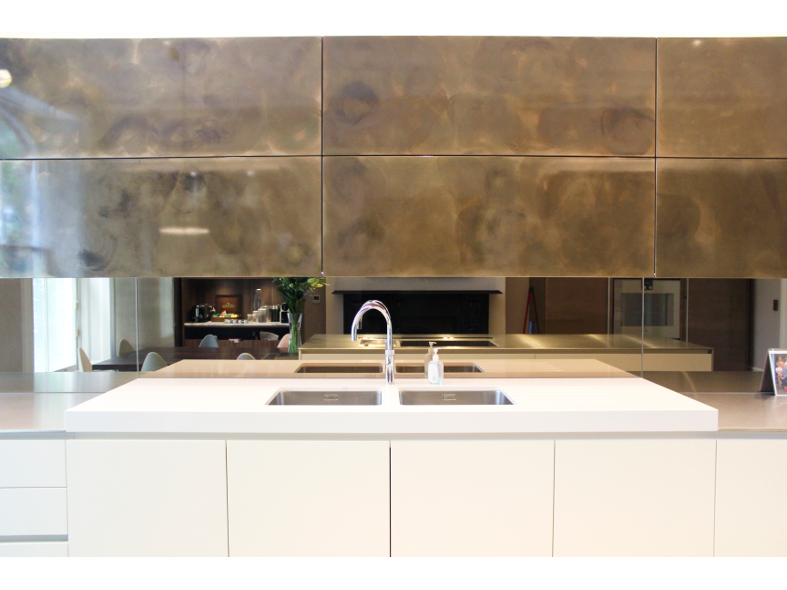 In the flagship Wigmore St showroom, glossy metallic surfaces contrast with matt lacquer base cabinets and textured finishes to create original designs with unique qualities. 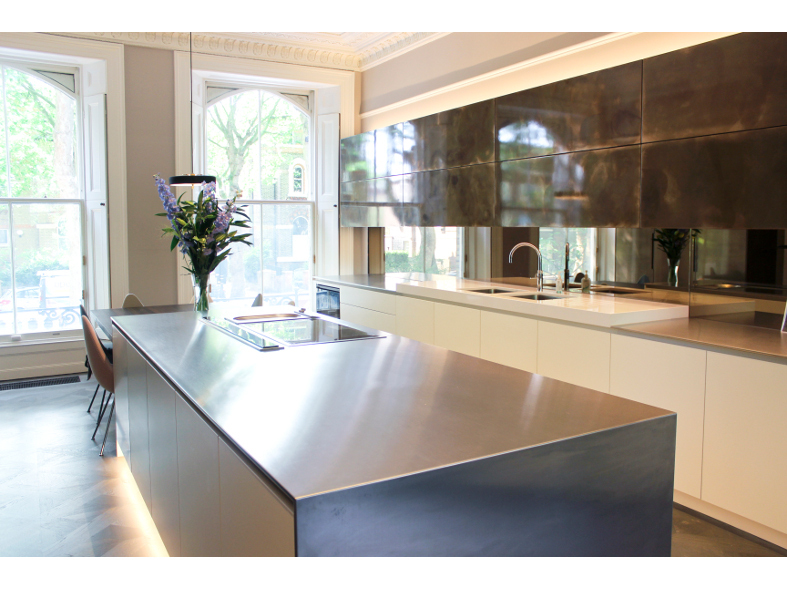 Roundhouse is a multi-award winning, British design and manufacturing company of bespoke kitchens and other furniture. Made up of independent British designers, architects and craftsmen, whose approach embraces the house, the home and the whole creative process - from concept to completion. All Roundhouse furniture is made to order by expert craftsmen at its own factory in Malvern, Worcestershire, an area with a long heritage associated with furniture making. Roundhouse cabinetmakers bridge the gap between centuries old traditions of workmanship and the latest technical innovations, combining unique joinery skills with state-of-the-art manufacturing techniques. Roundhouse is proud to be British and totally bespoke, manufacturing to order, making furniture to any size and virtually any finish, colour or veneer.